This post may contain affiliate links. If you purchase something through the links I may receive a small percentage of the sale. So, thanks! If you follow me over on Pinterest, you’ll see that I have a slight love affair with stamps. 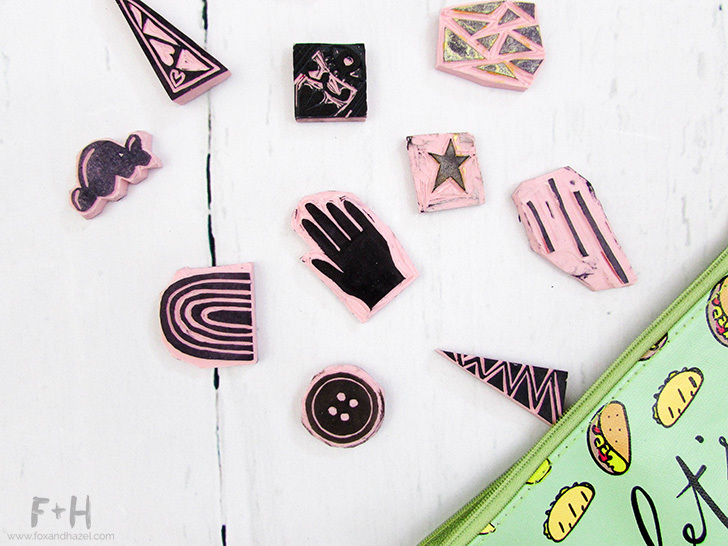 I love the idea and making your very own carved stamps. I used some store bought ones, but my hand carved stamps are quickly becoming my favourites to use. 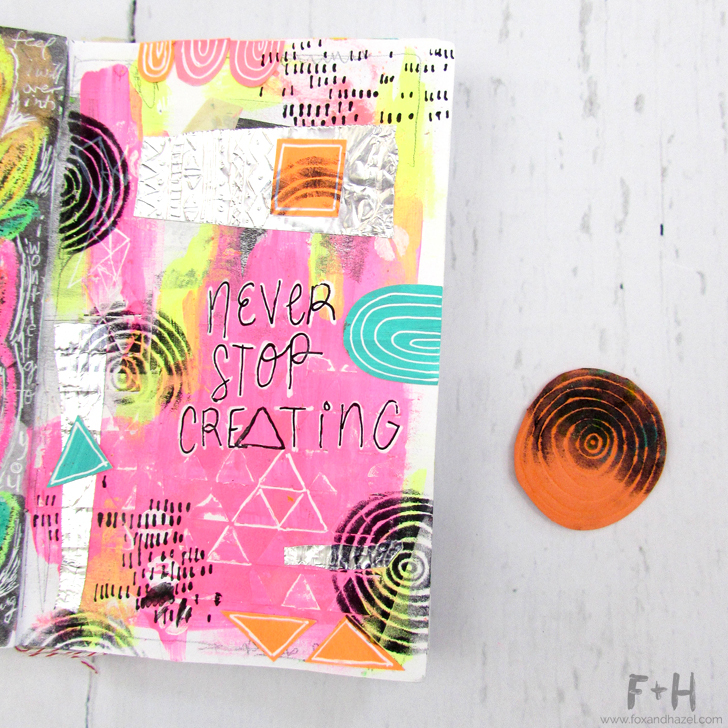 Especially in my art journal pages. I started with the Speedball Stamp Carving Kit, and quickly expanded my blades so that I have all the sizes they make. There are some super talented artists who create beautiful stamps. I am not that artist, unfortunately! 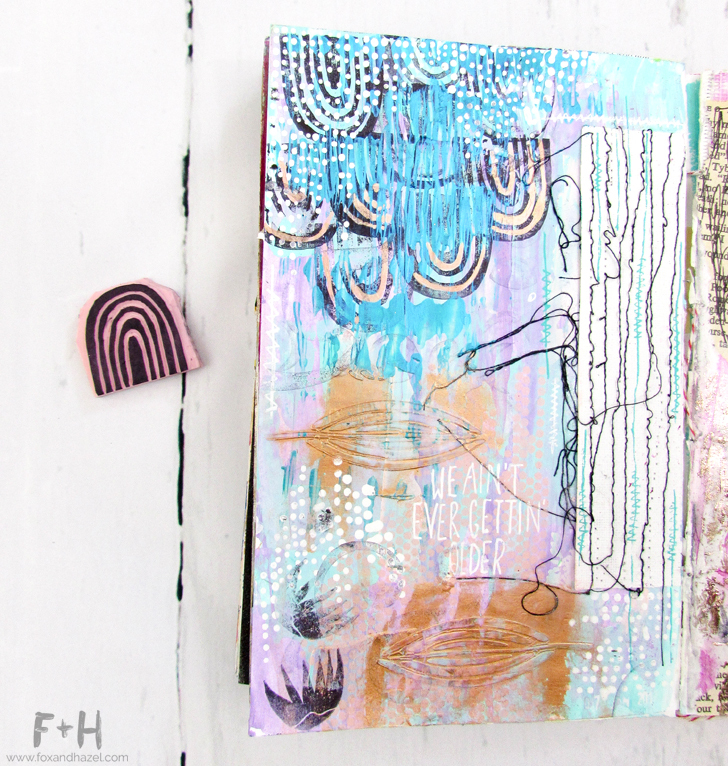 I really enjoy creating simple shapes and designs that I can use in my art journal pages. You can also use white rubber erasers for smaller designs as well. They’re cheap and easy to find, and are also great to practice if you’re not feeling super confident! 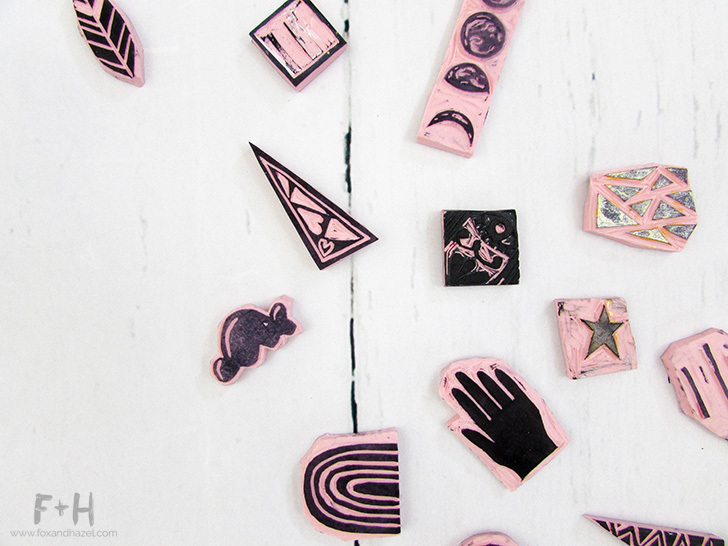 Another fun material I’ve been using to create carved stamps has been craft foam. I use an embossing stylus to “carve” in a pattern. The lines are not as sharp as the rubber stamps, but the craft foam also creates a softer stamp effect when it’s used. These stamps do soak up a lot more ink, so you get very intense images and lots of ghost images! 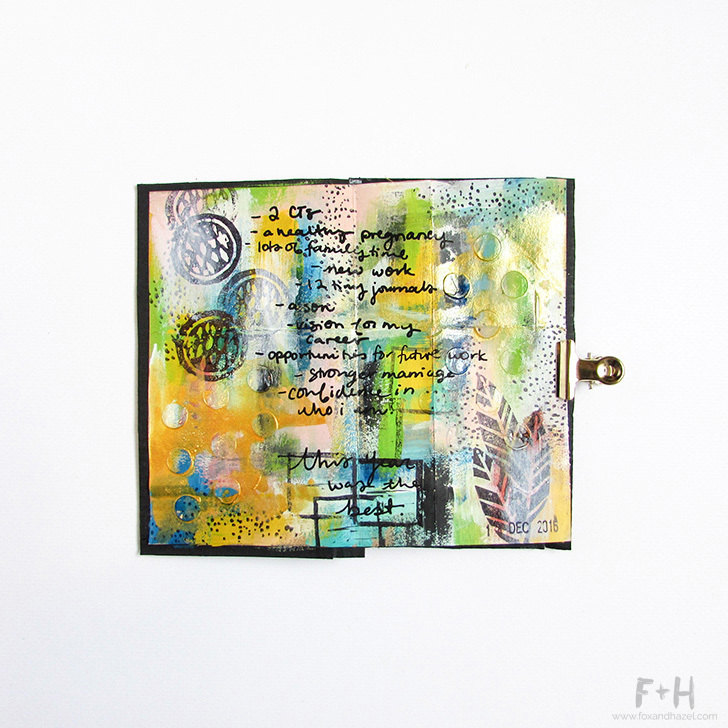 Ghost images are when you stamp again with the “leftover” ink on your stamp, creating a distressed transfer. 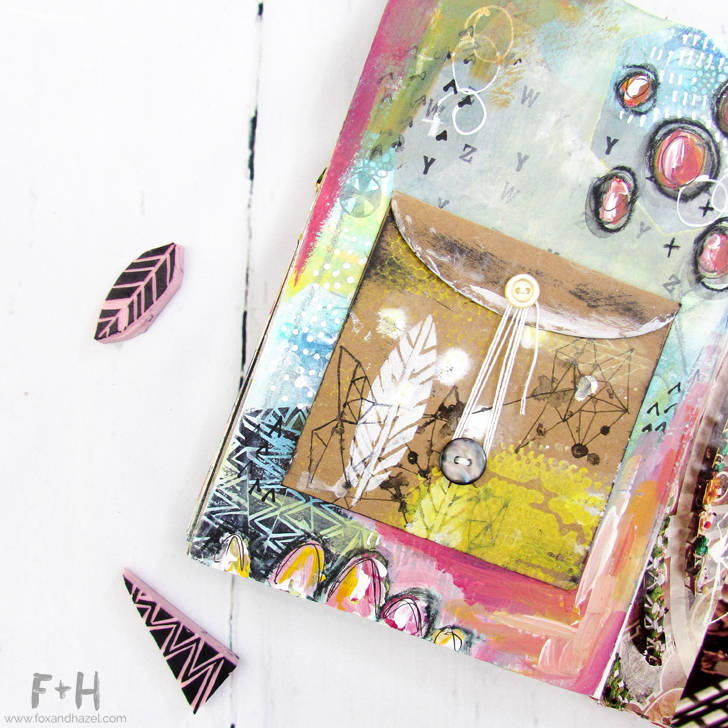 It’s fun to use this method all over an area of your art journal page – it adds texture without any bulk. 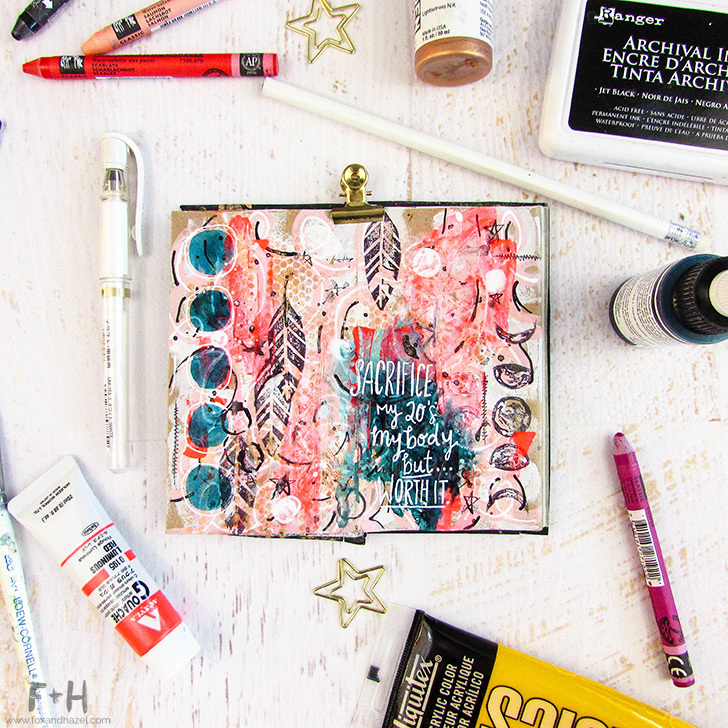 Carving your own stamps is a fun way to add more handmade elements to your art work and journal pages. I’m hoping to get brave enough to try some more detailed shapes and images. 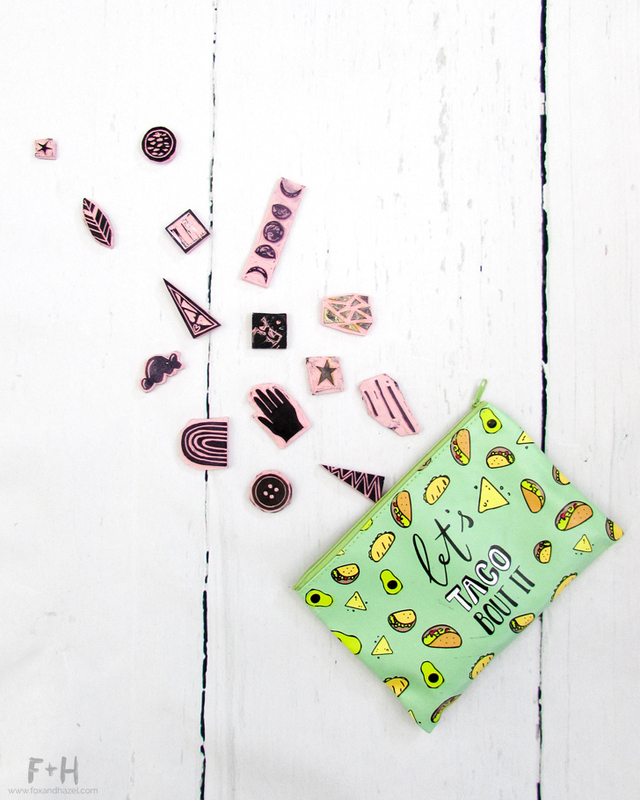 Have you tried making your own carved stamps before?